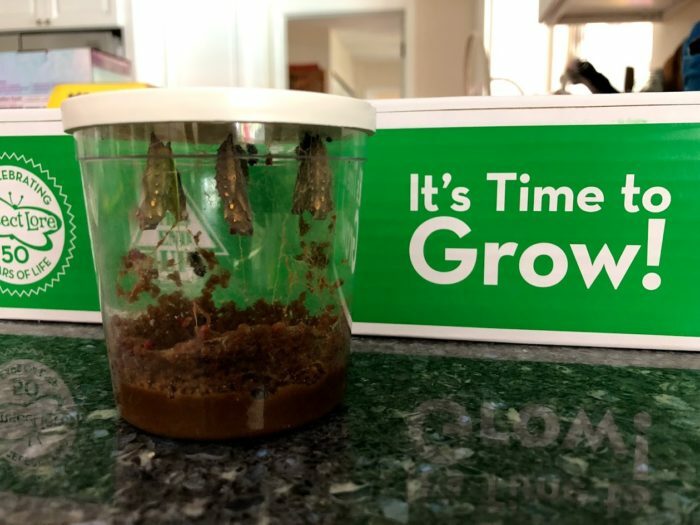 You are here: Home / Review / Experience The Insect Lore Butterfly Farm at Home! 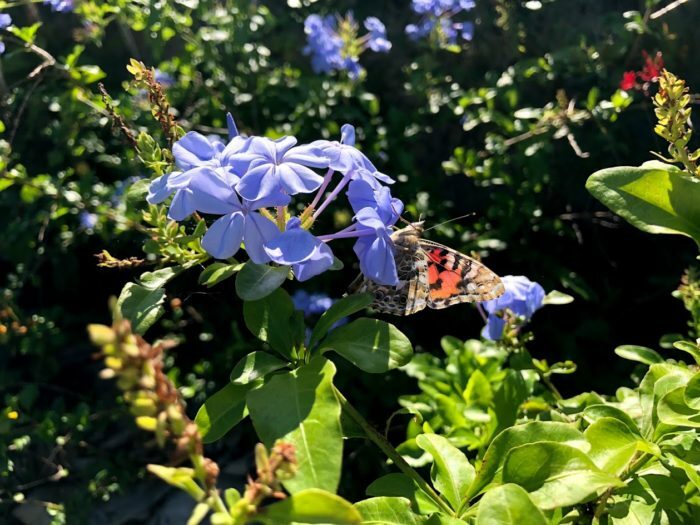 Experience The Insect Lore Butterfly Farm at Home! Insect Lore has been successfully providing children and adults alike the wonder of caterpillar to butterfly metamorphosis for 50 years! Insect Lore estimates it will have sent out a quarter of a billion butterflies, worldwide, since the summer of ‘69! 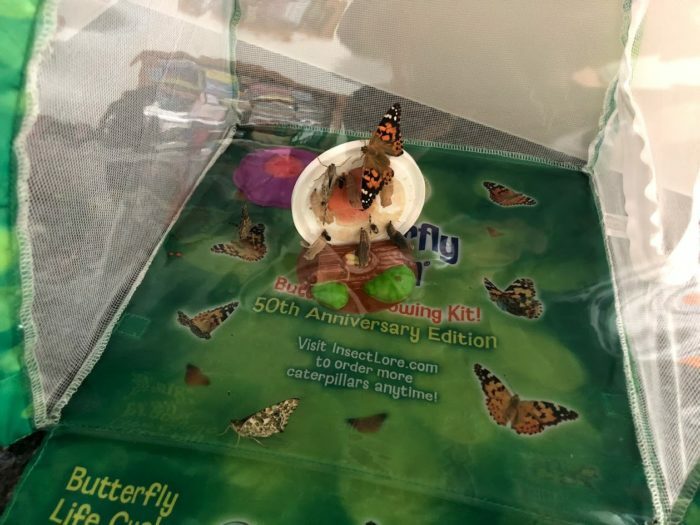 To celebrate Insect Lore has a created a NEW limited-edition Butterfly Farm! 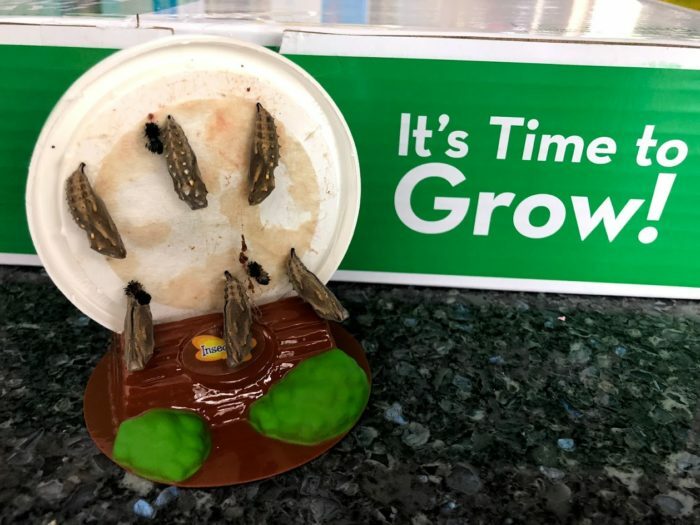 It has everything you need to raise your own caterpillars, and a voucher to redeem for your free cup of caterpillars at any time! There is no redemption fee and shipping is included. The voucher never expires. Mine arrived with the caterpillars ready for my review. 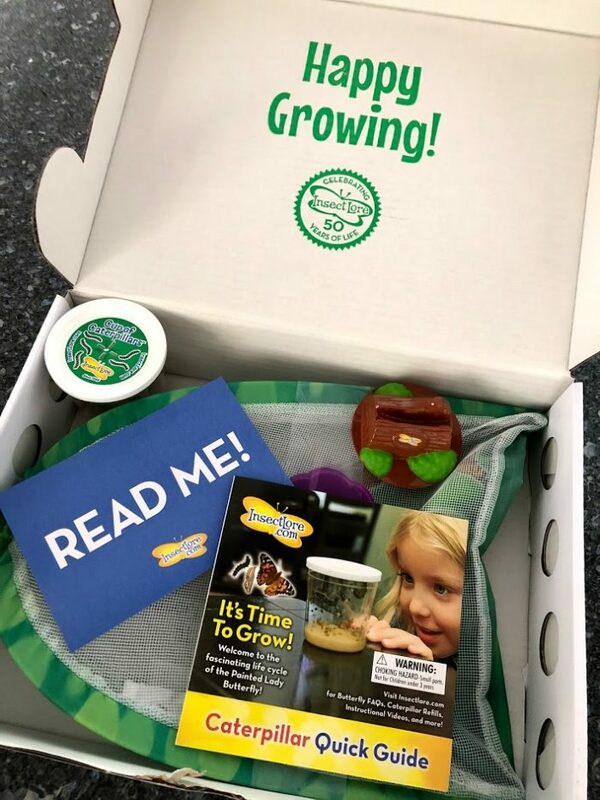 Your kit comes with a voucher to redeem caterpillars at a later date that works for you. Make sure to keep weather in your area in mind because butterflies don’t like the cold. This is what they looked like on day 1 at my house…sooooo small! Here is what they looked like at day 5. 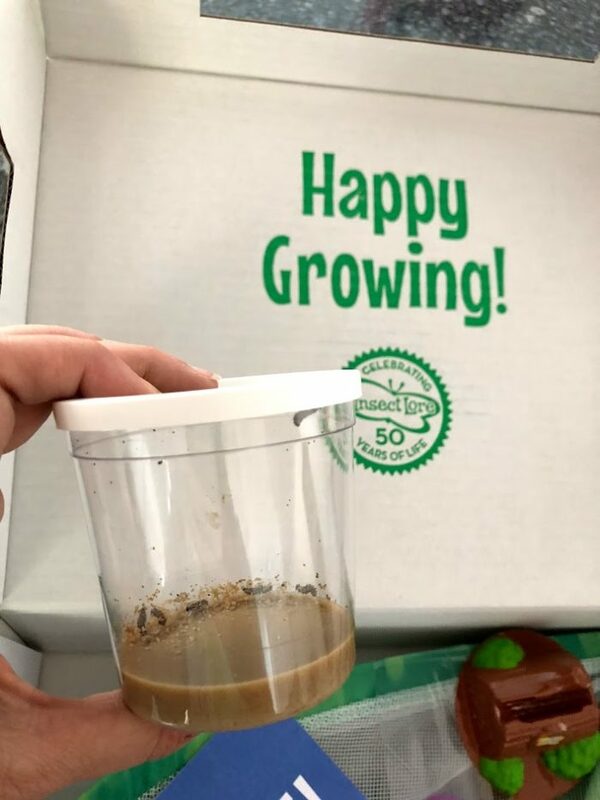 The picture below was taken exactly 11 days after we received our package and 2 days after they climbed to the roof of the cup. Time to get ready for our soon to arrive little ones!!! 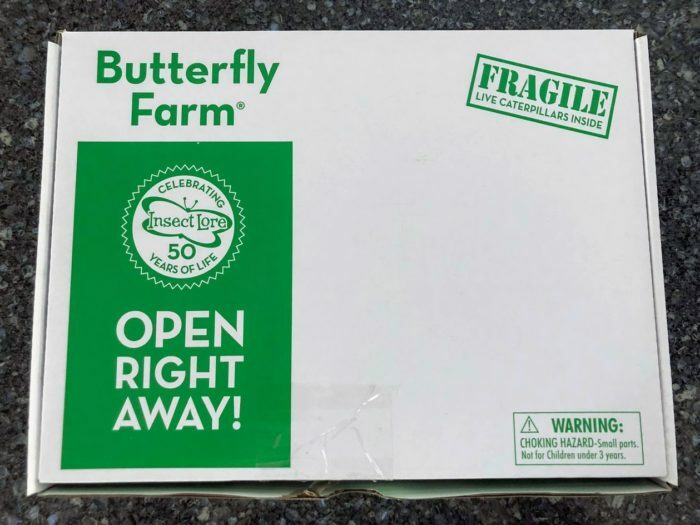 Everything you need is included with the Butterfly Farm. Deluxe Chrysalis Station Log. This item comes with your Cup of Caterpillars when your voucher is redeemed. Besides having patience here was the hardest part….taking the lid off the cup and moving it to the included station log. Then I moved it into the habitat. About 9 days later we had butterflies!!! It took about 30 hours from the first one to appear for all of ours to appear. We did have to say our final goodbyes when we let them go. 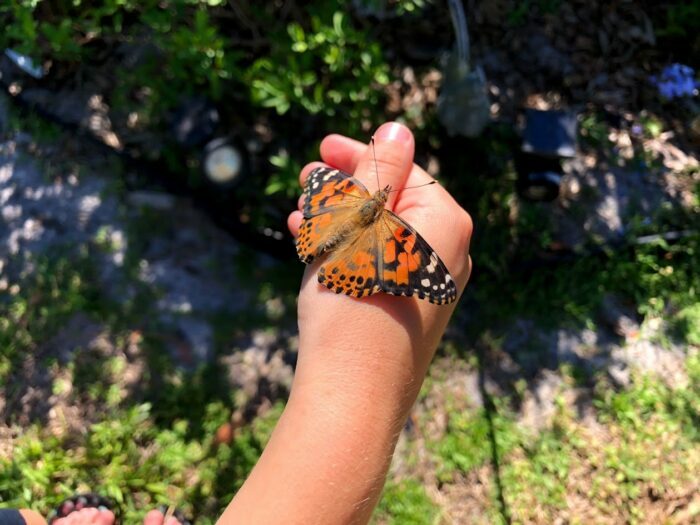 It has been an amazing journey and we will miss them but we are happy to have more butterflies in our backyard garden. One even flew onto Lil Sis’ hand and she thought it was coolest thing ever! 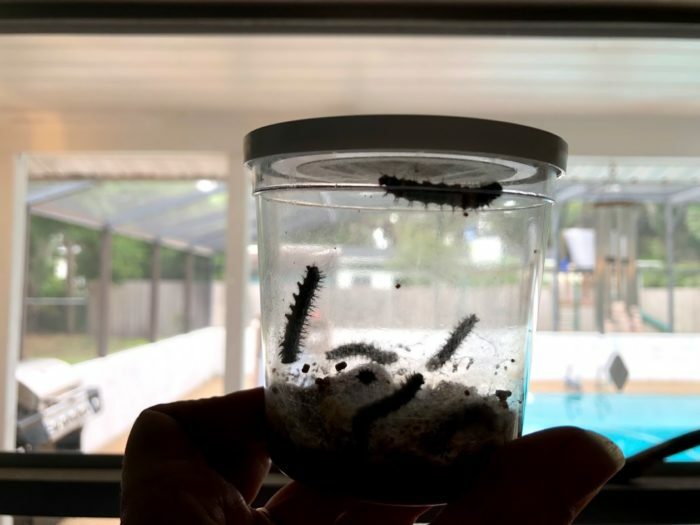 This Insect Lore Butterfly Farm has been a pleasure to have in our home! It sat right on our table and my daughters would eat breakfast and have snack next to them every day. We would talk about what part in the life cycle they were in as well as discussing daily changes we were seeing. 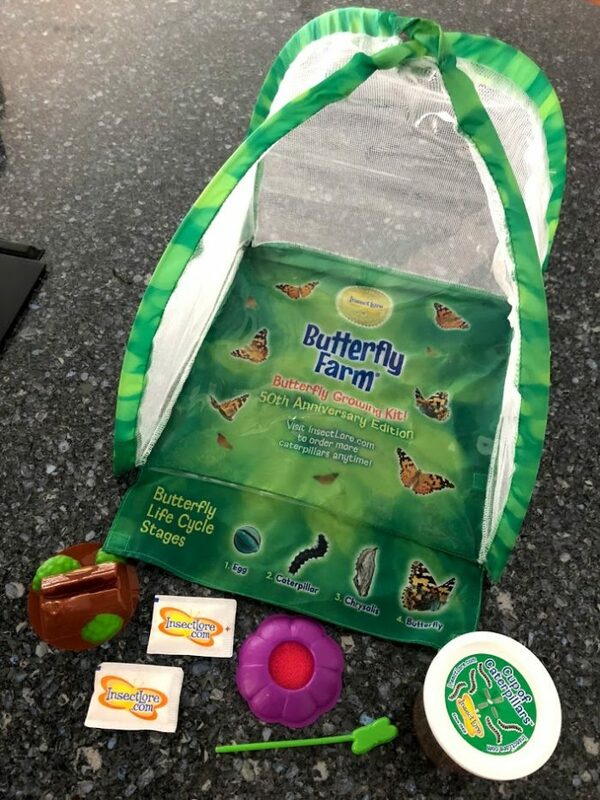 The Insect Lore Butterfly Farm is a fun STEM toy to have in the home for the whole family to enjoy together! 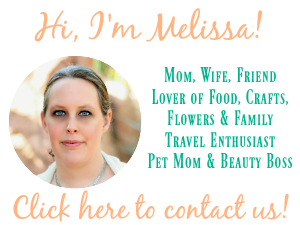 You can connect with Insect Lore on Facebook, Instagram, YouTube, Pinterest and Twitter.